Bunnies peek from the basket through grass. 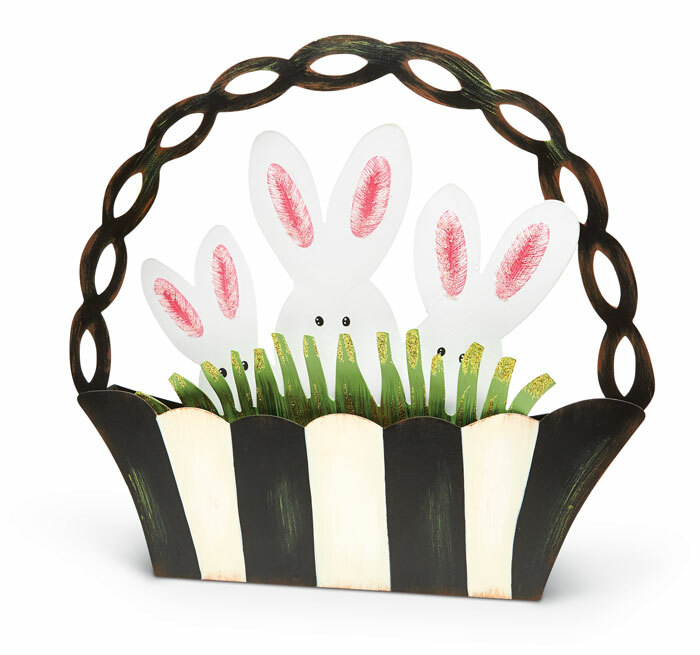 The hand-painted metal bunnies and basket are two separate pieces. We’ve used oasis (available from floral or craft supply stores) to support the bunnies that have a short stake (3.25”H). Bunnies: 12.5”W x 1.25”D x 8.5”H. Basket: 15.75”W x 2”D x 14.75”H.